If you have an unfinished basement in your family home, you are not using your property to its utmost. At LT Construction & Remodeling, our Worcester remodeling contractors believe that an unfinished basement constitutes wasted living space. Our professionals can help you transform this room from a dark and damp storage space to the most used room in your home. We can customize this living area to accommodate any need that your family can imagine. Our basement finishing team has the most experienced and qualified experts. At LT Construction & Remodeling, we have been in the residential remodeling industry for over ten years. During this time, we have developed a great deal of skill and craftsmanship. Each of our Worcester remodeling contractors is professionally trained and licensed. As such, you can rest assured knowing that you hired the right team for your basement finishing project. Call us today if you have an unfinished basement in Worcester. Our professional and polite staff would be happy to discuss the ways that our remodeling services can help you maximize this unused space. We would gladly answer all of your questions about your property or our expertly performed services. We can schedule your appointment today. When hiring a contractor to provide basement remodeling services, it is important to go with a contractor that has experience renovating basement areas. Because of the room’s unique location, there are many aspects that are different about basement finishing projects when compared to other remodeling projects. At LT Construction & Remodeling, our Worcester basement remodeling contractors have the ability to accommodate all of these differences. During a basement remodeling project, the contractor must take into account that the basement is a more moist environment than the rest of the home. Our professional remodelers will ensure that your basement is properly sealed and that the materials used in your basement finishing project will stand up to ambient moisture. Likewise, during the project, we will be able to accommodate ventilation and plumbing issues that are inherent in basement finishing projects. Once again, the best part of any remodeling project is the ability for you and your family to custom design your living spaces. This is even more true during your basement finishing project. In the other rooms of your home, they are already designated for particular uses. On the other hand, your unfinished basement can be designed to accommodate any need. At LT Construction & Remodeling, our basement remodeling team will work with you at every step of the way in order to ensure that your design goals become a reality. We can remodel your Worcester basement to be a family gathering area, entertainment room, additional living space, kitchen, or anything else you could possible want. In the end, we know that you and your family will love this added living space to your Worcester home. 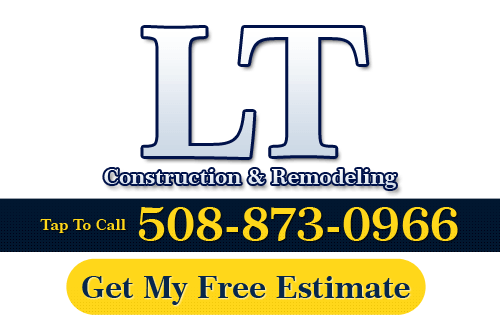 If you need to hire a professional basement finishing contractor in Massachusetts, call LT Construction & Remodeling at 508-873-0966, or complete our online request form.